Have you ever felt that you just couldn’t do it anymore? If so, you’re experiencing the effects of mental fatigue. These extreme tired brain symptoms will sound familiar when you are experiencing a lot of stress and a hectic environment. Everyone’s been physically tired, so we know those signs of fatigue. Mental fatigue is similar, but because your brain controls your body, mental fatigue is more serious. 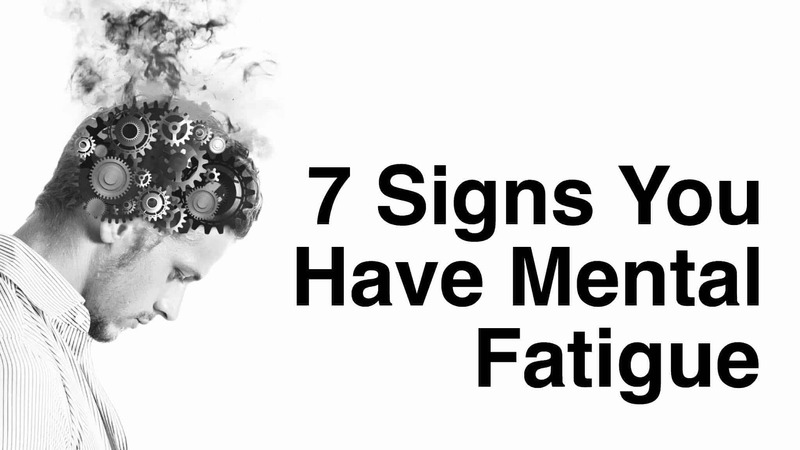 In this article we will review the signs of mental fatigue as well as a few ways to help fight it. Feeling overwhelmed? You probably are literally overwhelmed by sensory input right now. Sounds, smells, sights, mental activity, physical movement, listening to others; sometimes all of this happening in a busy environment can be too much. When there is too much data input coming from all of your senses, your brain can begin showing signs of stress and mental fatigue. You may notice that you have asked people to repeat themselves repeatedly. Also, you miss details that you should have seen, like spelling errors. Try shutting off any noisy devices that you can control, like a fan, music, TV, buzzing lights, etc. Turn toward someone who is speaking and make eye contact to give them your full attention. Limit multi-tasking as much as possible. Can’t remember the last time you went on vacation? 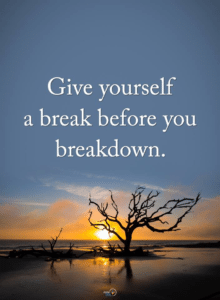 A study in the journal Environment and Behavior showed that there are two strategies that can help individuals more effectively manage their mental fatigue; avoiding things that cause mental fatigue and down time. One strategy involves avoiding unnecessary costs in terms of expenditure of directed attention. In other words, limit how much thinking you have to do. If you can, delegate some tasks to people you trust or postpone decisions if they aren’t urgent. The other involves enhancing the effect of restorative opportunities. They suggest that a restorative environment (think day spa) will help refresh your mind so you can think clearly again. Really, even a few minutes outside in the sun is all you’ll need to be able to keep going. A mental block is when you have been so mentally drained that you cannot continue to think. You just stop thinking until you can rest your brain enough to recover and continue. Researchers in the Journal of Psychology studying mental fatigue found that mental blocking acts ‘as an automatic safeguard which prevents the individual from working continuously.’ In other words, you can’t continue using your brain because it will just stop working for you when you are really fatigued. Depression or anxiety can be symptoms of mental fatigue because it can feel hopeless that you’ll be mentally clear anytime soon. Being mentally fatigued can feel a lot like being depressed because your level of mental energy is low. You might feel anxiety, for example, that things won’t improve. If the situation that is causing your mental fatigue is something that you cannot control, you can feel emotions of anger toward the person who you see as the cause of your suffering. Headaches, stomach discomfort, diarrhea, constipation, loss of appetite, insomnia, and being jittery are all some physical symptoms you might experience that are signs of mental fatigue. Although you can consult your doctor if these are concerning you, the therapist might be better able to give you some helpful tools. Forgetfulness and memory lapse are a sign of mental fatigue. Your brain is processing so much information at once, but it cannot also create memories at the same time. Later on, when you sleep, your brain will make memories. In the meantime, you’re going to have a hard time remembering as well as being able to focus on anything for a long period of time. If you can avoid anything that could cause people harm without your full mental capacity, like driving for example, that would be best until you recover from your mental fatigue with some rest. Answering questions and making decisions all day has left you with decision fatigue and you can’t answer anyone anymore. People will just have to get by without you because you are bowing out due to mental fatigue. Again, let some other people take on some of the smaller decisions that you have to make in a day. Dropping even small decisions, like what to cook for dinner, can take one more decision off your plate, which can help prevent mental fatigue.